BPS is proud to be an AdvancED District! This March, Groves senior John Garrett was nominated by his basketball varsity coach and elected by the district coaches to the OAA All League Team for their division. John was one of 11 players selected and was also the top scorer for the Groves Boys Varsity Basketball team this season. Congratulations John! Congratulations to Groves student Tyler Austin. Tyler finished with his personal best times in all six of his events at the World Series Paralympic Swim Meet this month. He also won the men’s 100 breast stroke event with a time of 1:19:58. He is now a proud member of the U.S. National Paralympic Swim Team. Congratulations to Tyler, his coach Richard Forrest (Groves High School Swim Coach and Berkshire Middle School teacher). The Latino Family Network is celebrating the first anniversary! LAFAN has focused on fostering educational excellence and equity, improving language fluency (Spanish and Portuguese), and celebrating family traditions and values. In partnership with Birmingham Community Education, LAFAN worked to create advanced Spanish classes for K-8 BPS students through a Saturday Immersion Class. To learn more about the classes or how to get involved with LAFAN, email bpslafan@gmail.com. Groves varsity debater and state champion Lukis Bagdon placed second at the Birmingham Optimist Club Oratory Contest, held March 27 at the Community House. In the most competitive field of speakers in years, twelve (12) students from Groves, Seaholm, Detroit Catholic Central and Detroit Country Day, Luke received the 2nd place silver medal. Congratulations to all of our BPS participants! Birmingham’s Robotics team, Automation Nation, team 2960, participated in the FIRST Centerline District Tournament March 15 and 16. After two days and 80 qualification rounds, Birmingham ranked 9 out of 40 teams. The team was the 6th alliance captain, and their alliance upset the #3 pairing, advancing to the Semi-finals. The combined team from Groves and Seaholm was awarded The Excellence in Engineering Award for their innovative climbing mechanism. Their next tournament is March 29 and 30 at the FIRST Troy District. The team is coached by teachers Bernie Simms and Patrick Hoover. The District congratulates Automation Nation and wishes the team well at the Troy tournament! Wylie E Groves High School welcomed CPT Tara Middlebrooks (2007 Groves graduate) as their Honor Alumn and keynote speaker for Senior Seminar 2019. CPT Tara L.R. Middlebrooks (Roberts) commissioned as an Engineer Officer from the United States Military Academy at West Point in May 2011 where she received a B.S. in Comparative Politics. Upon completion of the Engineer Basic Officer Leader Course at Fort Leonard Wood, Missouri, CPT Middlebrooks was assigned to the 555th Engineer Brigade at Ft. Lewis, Washington. CPT Middlebrooks served as a Horizontal Construction Platoon Leader for 18 months, where she led construction projects in Washington, Idaho, and California. CPT Middlebrooks later served as the Executive Officer of a Horizontal Construction Company for 14 Months, deploying in February 2013 to Regional Command - East Afghanistan in support of Operation Enduring Freedom. Congratulations and thank you, Captain Middlebrooks! Congratulations to Seaholm High School students Ryan Chekan, Diego Suazo De La Ros and Jackson Sumida Flores. The students scored in the top 2.5% on the PSAT/NMSQT and have been invited to participate in the National Hispanic Recognition Program (NHRP). Each year, NHRP recognizes about 7,000 Hispanic/Latino juniors who take the PSAT/NMSQT. Congratulations to the following Groves Orchestra students! They were selected to represent the Birmingham Public Schools at the Michigan Youth Arts Festival (MYAF) on May 9-11 at Western Michigan University: Ethan Biederman, violin; Claire Hornburg, trumpet; Tessa Irish-Minewiser, cello; and Aaron Stottlemyer, viola. The students will be performing with the Michigan Honors Band and Orchestra, along with the other top student musicians in the state. Students are chosen for this honor as a result of their extremely high scores at MSBOA State Solo & Ensemble. (Learn more about the S&E success.) In the world of music, this is equitable becoming an All-State athlete! This is a huge honor for our students, Groves High School, and the Birmingham Public Schools. Groves Orchestra students are directed by Paul Shawver. Congratulations! Have you heard the latest? Take a look at some of the highlights happening in the District over this season! Find out more about the music programs throughout Birmingham Public Schools! Congratulations to the Groves Performing Arts Company, under the direction of John Rutherford, on their recent recognition from the Michigan Interscholastic Forensics Association (MIFA). 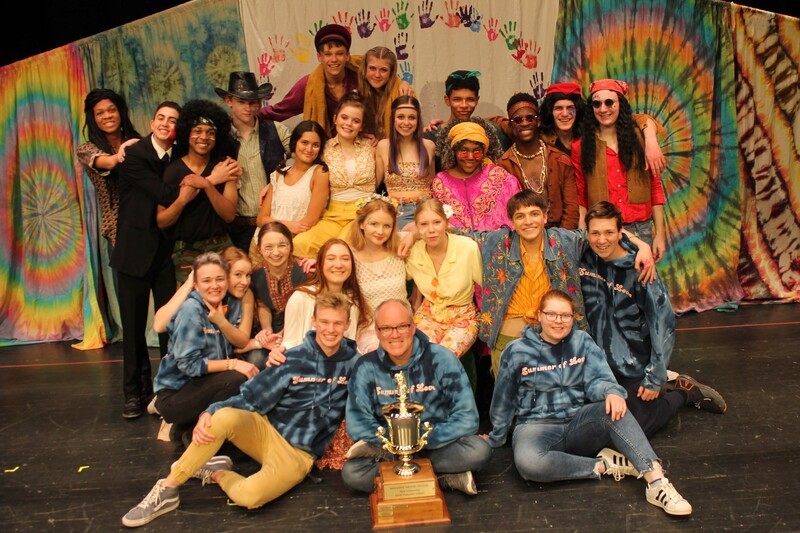 GPAC earned First Place in the Studio-Division 1 competition using the one-act cutting of the musical Summer of Love by Roger Bean. Students scored the highest overall combined points, earning 95/100 for their performance, from all five judges. Superior Award for the ensemble- Grace Balow, Laiko Brown, Annie Chernow, Sophie Dara^, Jordan Davis^, Mateo Davis^, James Hardy, Maddy Hardey, Keturah Heath, Josh Holmes, Nick Joseph, Griffin Kozlow, James Laport^, Beau Lerner, Noah Smalley, Hunter Stabile^, Noel Stanley, Hope Tushman^, Hailey Van Wordragen^, Camille West and Becca Woodrow. Berkshire choir students participated in the Michigan School Vocal Music Choral Festival in March, earning 1st Division ratings with perfect scores in sight-reading. Berkshire’s choir is directed by Carolyn Priebe. Congratulations! Congratulations to the Seaholm Boys Swim and Dive team. The team brought home first place at the OAA Red Division League Championship on Friday, Feb. 22. In addition to the league championship title, senior team captain, Aiden O'Neill, was named Co-Senior of the Meet and All-League in the 500 Freestyle. Tom Girdler is All-League in the 100 Freestyle, Kameron Liberman was named All-League in Diving, and Head Coach Tom Wyllie was named OAA Red Division Coach of the Year. The team was also able to pick up 12 state qualified swimmers in one or more events each. 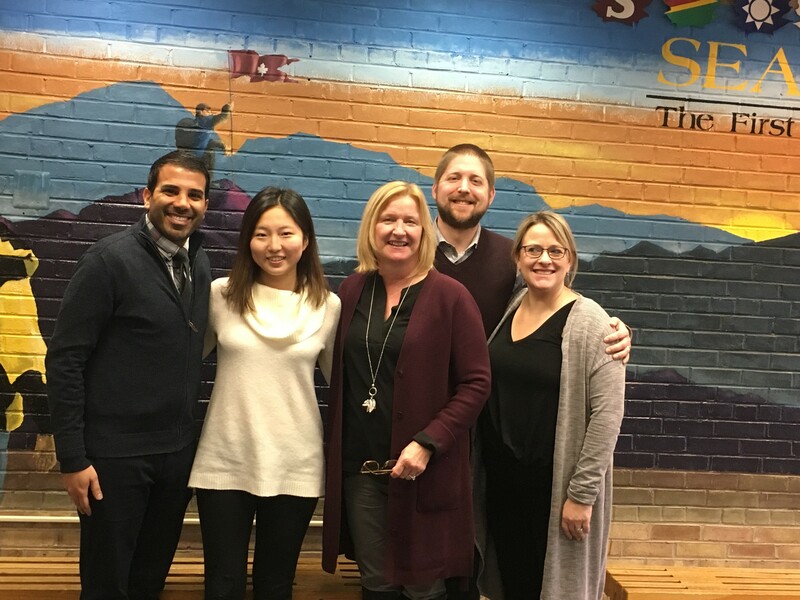 Seaholm is pleased to announce their 2019 Carson Scholar, Leah Kim. The Carson Scholars Fund awards college scholarships to students in grades 4 through 11 who excel academically and are dedicated to serving their communities. Across the nation, only 505 students are receiving the designation of 2019 Carson Scholars. An interested student must be nominated by his/her school to be able to compete for a Carson Scholar. The minimum requirements are a 3.75 GPA and involvement in community service. Congratulations Leah! The Birmingham United JV team recently won their conference Championship and will face Eisenhower in a three-game series to determine a victor this weekend. Cheer them on Saturday, Feb. 16 at the Birmingham Ice Sports Arena - puck drop at 6:45 p.m. Congratulations to BU seniors Captain Andrew Beggs, Captain Dylan Resnick, Captain Will Sanders, Captain Daniel Zalesin, Alternate Captain Brett Hutchison, Goalie Gabe Barish, Alex Bradley, Andrew Siver and Michael Valk. BPS thanks the Baldwin Library for their continued work to organize and support this program. Groves senior and football player Khalil Dawsey is headed to Harvard! Read about his decision and big dream in the Detroit News. Congresswoman Haley Stevens, a Seaholm graduate, recognized her alma mater by hosting her local swearing in ceremony in her old high school auditorium last month. Stevens was joined at the ceremony by fellow elected officials Mari Manoogian (Seaholm graduate and State Representative) and Jeremy Moss (Groves graduate and State Representative). Congratulations to Groves High School students on their recent Charity Week fundraiser. The Groves students and community raised over $70,000 to support the Matthew Bittker Foundation, honoring a West Maple student that passed away. Students organized events and activities, exceeding their $60,000 goal despite weather closures during key fundraising days. This year, the American Scholastic Press Association (ASPA) awarded The Scriptor 3 first place awards in this year’s national competition: National First Place with Special Merit, Best High School General Magazine and National Best Story. Congratulations to the Scriptor staff and their adviser, Laura Redman. Along with these national awards, the MSU-based magazine, “A Cut Above: The Best in Student Media,” published an article written by last year’s Scriptor editor, Christian Zeitvogel, who is now attending Kalamazoo College. On Jan. 12, five Groves choir students traveled to Howell High School to participate in the MSVMA district level Solo & Ensemble. All five students qualified to move on to the state level of Solo & Ensemble that will take place in April. Congratulations to Clare Birley (sophomore), Jane Martin (senior), Kevyn Roessler (freshman), Maya Ousachi (freshman) and Caroline Kondak (freshman). The Groves Choir is directed by Carolyn Priebe. Rick Joseph, Birmingham Covington School 3 / 4 teacher was recently appointed to serve as a member of the Lesbian, Gay, Bisexual, Transgender, and Queer (LGBTQ) Committee for the National Council of Teachers of English (NCTE). His 3-year term will begin after the 2020 Annual Convention, scheduled for Nov. 19-24. Congratulations to Bennett Pompi, a junior at Seaholm. Bennett is the latest BPS student to earn a perfect score on the ACT exam! According to a press release by ACT.org, “On average, only around one-tenth of 1 percent of students who take the ACT earn a top score. In the U.S. high school graduating class of 2017, only 2,760 out of more than 2 million graduates who took the ACT earned a composite score of 36.” Great work, Bennett! Congratulations to Seaholm’s Sophia Ericson and Tyler Firestone! The two have been selected to continue in the 2019 competition for corporate-sponsored special scholarship administered by National Merit Scholarship Corporation (NMSC). Every year some 1,100 National Merit® Program participants, who are outstanding but not Finalists, are awarded Special Scholarships provided by corporations and business organizations. Candidates for the scholarships must meet the sponsor's criteria and the entry requirements of the National Merit Scholarship Program and submit an entry form to the sponsor organization. NMSC contacts a pool of high-scoring candidates through their respective high schools and these students and their school officials submit detailed scholarship applications. Evaluated by a professional staff, candidates are selected based on their abilities, skills, and accomplishments. These scholarships may either be renewable for four years of undergraduate study or one-time awards. Last year as a 7th grader at Derby Middle School, Shriya Nama took ACT and SAT through Northwestern University's Midwest Academic Talent Search organization, scoring a 36 in ACT reading and scoring high on the SAT. Based on this performance, she received an award from Northwestern University as an exceptional student in the Midwest as well as an award from Michigan State University for her performance. Congratulations to Groves senior Claire Hornburg (trumpet) and Groves freshman Clarice Kim (violin). 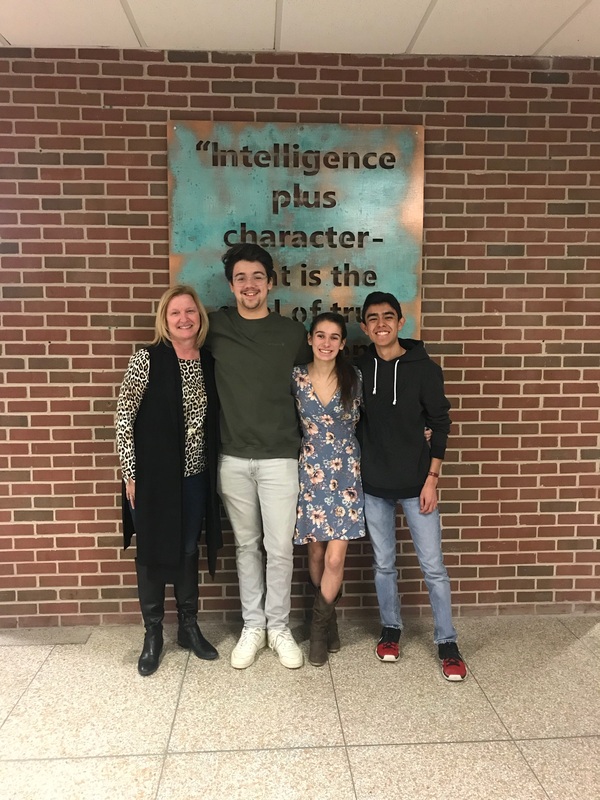 The two were accepted to the 2019 Michigan All-State Band and Orchestra and will be performing with the top student musicians in the state at the Michigan Music Conference on Jan. 26. Congratulations to these swimmers and Head Coach Thomas Wyllie! Congratulations to the following students from Groves and Seaholm to have qualified for Part II of the Michigan Mathematics Prize competition. The finalists will compete in Part II on Dec. 5. The top 50 students in the state will be presented with scholarships ranging from awards of $250 to $2,500. These students are among the top 1,000 students of the more than 6,000 students in the State of Michigan who participated in Part I to qualify for Part II. Groves varsity and novice debaters had a successful weekend at Wayne State University's Ed Pappas Memorial Tournament, held Oct. 12-13, 2018. In the novice division, Groves took both first and second place, defeating Midland H.H. Dow High School in both semifinal debates. Representing Groves were Kevin Guich, Ryan Goodman, Amiri Walker, Ben Glick and Luke Lee. Ryan was 10th, Kevin 7th and Ben placed 4th in the individual speaker category. In the varsity division, the team of Lukis Bagdon and Sathvik Rajagopalan reached the semifinals before losing a close 2-1 decision to Midland H.H. Dow. Quarton Physical Education teacher, Kyle Cameron, was presented with an award from Jump Rope for Heart. Out of the 1,027 schools, Quarton Elementary was named the third highest fundraising school in the state, raising $31,109. Many thanks and congratulations to Mr. Cameron for his dedication and work with the students to keep them enthusiastic in their mission. The Birmingham Robotics Team started the year off competing in the Oakland County Competitive Robotics League tournament #1 at Marion High School. 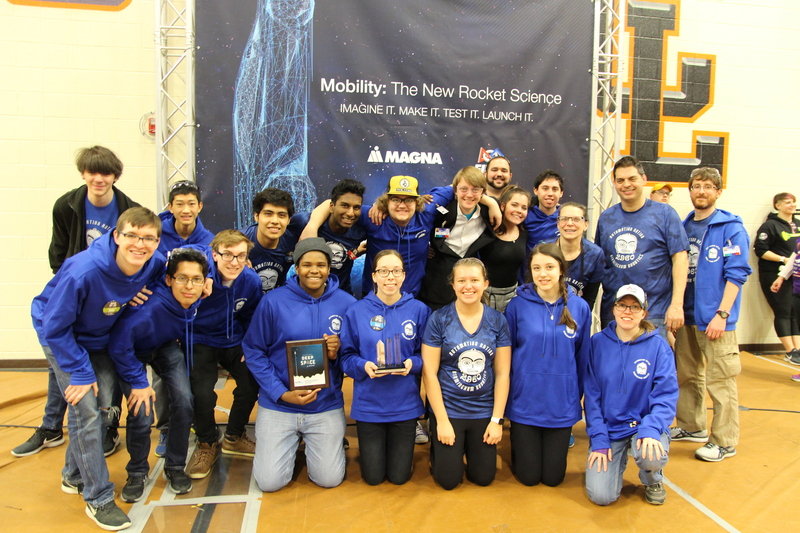 With 20 teams competing in a round-robin format, the Birmingham United team (Automation Nation) won the third-place trophy, missing out on first place by one score. They were also awarded the Judge’s Award for “Design and Execution”. Automation Nation is led by teachers Bernie Simms and Patrick Hoover. Thank you to all the volunteers that joined Kids Against Hunger at Birmingham Covington Schools on Sept. 22 for Kids Feeding Kids. Over 22,800 meals were packed by 222 volunteers to feed children around the world! Tyler Austin, a junior at Groves High School, was named to the 2017-18 Scholastic All-American Swim Team. The team honors the top high school swimmers who focused and maintained excellence in the classroom as well as the pool. This year 1,619 high school swimmers earned the distinction in the nation. Officials of National Merit Scholarship Corporation announced the names of approximately 16,000 Semifinalist in the 64th Annual National Merit Scholarship Program. We are happy to congratulate Seaholm’s National Merit Scholarship Semifinalists of 2019: Jeremy Bakken, Sydney Czako, Tatum Kreindler, Emma Morganroth and Owen Salciccioli! Lochlan Patterson, an eighth grade student at Berkshire Middle School has been honored by Duke University Talent Identification program for his exceptional scores on the SAT. The talent program recognizes students across the United States who’ve scored at or above the 95th percentile on grade-level standardized test. Duke TIP then hosts an annual recognition ceremony to honor the remarkable ACT or SAT scores. Congratulation to Lochlan! Racing for Kids is a unique, national charity which supports children when they are most vulnerable – sick and hospitalized. Each year, Racing for Kids to the Hill, an annual RFK event, gives out a Courageous Kid Award to honor and celebrate children who have beat the odds and overcome their various health challenges. This year’s 2018 Courageous Kid Award was received by 14 year old, Kathleen Sovran of Southfield, Michigan and student at Groves High School. The Children’s Hospital of Michigan Foundation of whom nominated Kathleen, is also a partner organization to Racing for Kids and a proud beneficiary of this event. Congratulations to our very own Mr. John Rutherford! He was featured by the Educational Theatre Association this month! "We chose John based on the outstanding theatre advice he regularly contributes to our Theatre Education Community. The instruction John provides helps other theatre educators, students, and artists from all over the world." Check out his spotlight from the Educational Theatre Association. Alex Pallone, a senior at Seaholm High School, spent the summer volunteering with the YMCA at Camp Nissokone. As a junior counselor, he trained and lead the camp activities with students ages 8-16 and lead a 52-mile canoe trip. Congratulations on earning 550 hours of community service hours, Alex! Jackson Bergstrom, a junior at Seaholm High School, was honored by Birmingham Youth Assistance and the Optimists Club earlier this year with the Youth in Service award and Jane Parker Ward award and scholarship. Additionally, Jackson received the President’s Lifetime Achievement Medal for Volunteerism and is a past recipient of the President’s Gold Medal for volunteerism. Jackson directs an organization he created called “Lambs of Love” which has funded 13 years of education for each of over 500 girls in West Africa. At Seaholm, Jackson established the Young American’s for Freedom, which hosted School Safety Student Roundtables Civil Discourse assemblies with a state representative, U.S. congressman and students to have an open dialogue around important issues. He spent time over the summer planning additional opportunities. Additionally, Jackson spent the summer serving as a law clerk for a local judge this summer and traveled to Greece, Gettysburg, Williamsburg and DC where he attended several political leadership meetings. Thanks to the Pierce Community Education Council and the teachers and students in 3rd grade ESL, Pierce has a new Free Little Library! Located on the playground, near the new Buddy Bench, the idea came from Mrs Papaghanian's 3rd grade ESL reading group. The group read a non-fiction piece about Free Little Library's around the world and how they are helping communities grow together and gain literacy skills. Mrs Papaghanian, Mrs Hilzinger and students created a plan to design and advertise this new resource for the Pierce community. Mrs Hilzinger's friend, Simona Lucutz, volunteered to help the kids organize their design ideas and paint the library. They chose to highlight diversity and community, two themes that Simona is famous for. Her art even won the Downtown Birmingham Art Contest! Congratulations to Simona, Pierce ESL and the entire Pierce learning community! BPS was ranked No. 1 in Michigan by Niche.com and BPS teachers were named the No. 2 Best Teachers in Michigan! 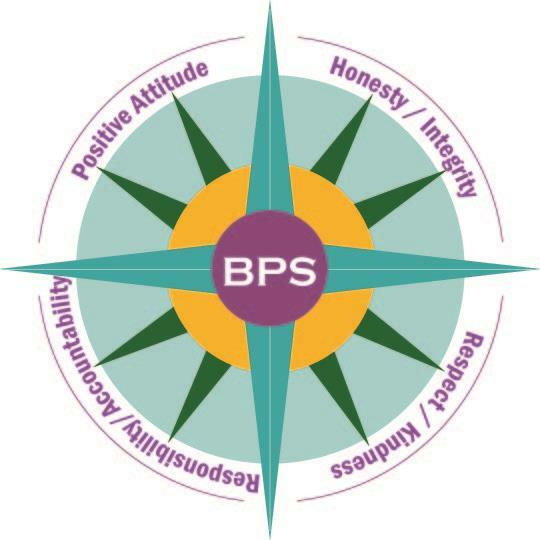 BPS is now a State and National District of Character! BPS is the first district in Michigan to be named a District of Character! For more information about the district, explore our website or visit the Prospective Families section of our website.